Steven Universe and RuPaul’s Drag Race are both shows about finding your secret powers. No wonder an artist has mashed up their styles into stunning portraits. 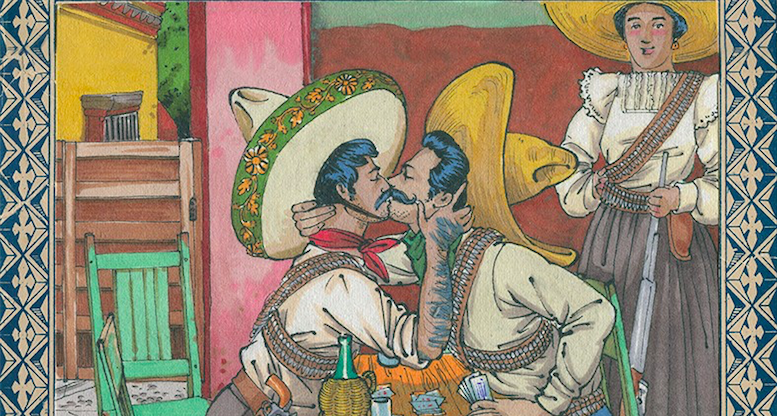 Hot boys, mermaid weddings and carrot boners: there’s something for everyone in the saucy paintings and drawings of Mexican artist Felix D’eon. Toby Allen’s Real Monsters depict what mental demons anxiety, depression, and schizophrenia would look like if they were actual monsters.